2012. Edited by Carol Stone White. An excellent anthology of more than fifty tales of day hikes and long treks gone awry in the mountains of the Northeastern U.S. Contributing writers to this unique collection of often harrowing mountain stories include Guy and Laura Waterman, Peter Crane, Doug Mayer, and longtime New Hampshire Fish & Game conservation officer Todd Bogardus. 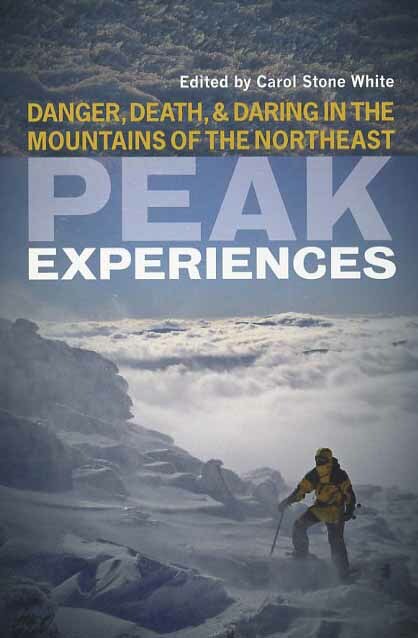 Book includes stories from New York's Adirondack Mountains, Vermont's Green Mountains, New Hampshire's White Mountains, and Maine's Baxter State Park. Softcover.334 pp.